New Zealand-born Victoria Spackman, ONZM, grew up in Wellington and London. In an interview with RNZ National’s Kim Hill, she described how common it was when she was at school for young women to be directed towards studying law or medicine. “There was no way I wanted to do medicine. I know the power of words and the power of language, and so law was much more attractive in that way.”. Spackman managed to stoke her passion for theatre while studying at Victoria University, graduating with a combined arts/law degree, and a post-graduate diploma in languages, film and theatre. She tried her hand at most facets of the theatre industry, producing and/or directing numerous Fringe Festival plays in the late 90s, and sometimes gracing the stage herself. In 2002 she took her relationship with BATS Theatre to a new level, becoming the chair of its board; in late 2014, after overseeing the theatre’s renovation and expansion, she stood down from that long-standing role. Playing her part in the Wellington theatre’s renewal remains a highlight. “Being where we are now is an incredible achievement for the community”. Spackman’s law career ticked along from the early 2000s working for Cullen Law and Buddle Findlay, practising employment and litigation. In 2003 her creative and analytical skills started to fall into alignment when she joined South Pacific Pictures as their Legal and Business Affairs manager. In 2006 she was a Business Advisor for Kura Productions and Australia’s SLP Productions, two joint ventures with South Pacific Pictures. That year she also got her first Executive Producer role, on the high profile New Zealand Idol. 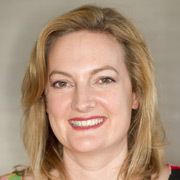 The year ended with the start of her relationship with Gibson Group; she joined the organisation as their Legal and Business Affairs Manager, and has gone on to executive produce a host of productions including 2014's The Trouble With Murder, a Platinum Funded three-parter investigating the history of murder sentences in New Zealand, and Operation Hero, which follows children undertaking adventures inspired by real New Zealand heroes. Spackman’s ability with languages has provided opportunities that have enhanced her career. She speaks some German and Italian, and after several work trips to China decided to try to learn Mandarin by immersing herself in Chinese life, living for a month in Wellington’s sister city of Xiamen. Her close engagement with China has resulted in several joint productions for the Gibson Group (including Dragons in a Distant Land, a factual series looking at NZ education through the eyes of Chinese students). Spackman’s April 2012 appointment as Chief Executive of The Gibson Group marked the end of an era; but also the beginning of an even more internationally-minded company. In late 2013 company co-founder Dave Gibson made the call to move on to the NZ Film Commission, and Spackman and her colleagues Allan Smith and Brett Tompkins bought The Gibson Group. Spackman spoke of how her job at The Gibson Group gave her "the opportunity to use both my creative and analytical skills. Plus it’s damn exciting getting to hang out with super creative people all day". Spackman is a director of Australian copyright organisation Screenrights, did six years on the board of NZ screen industry organisation SPADA, and was a committee member of FirstBoards, an initiative of the NZ Institute of Directors. In 2012 she won the prestigious Private Sector In House Lawyer of the Year award, acknowledging her successful transition from law to leading the Gibson Group. In 2015 she won the Arts and Culture category of the NZ Women of Influence Awards; the following year she was made an Officer of the Order of New Zealand Merit, for her contributions to theatre, film and television. In 2012 Spackman gave a TEDx talk in Auckland called ‘The Wall - Making History Social’, where she described “a slow revolution” in the way museums think about and attract modern audiences. “At the Gibson Group we’ve been thinking about these different audiences for a while now, and the way we can welcome them into museums”. One example of this thinking was The Wall, a joint venture with the Museum of Copenhagen. It consists of a giant interactive touch screen set up in a 40-foot shipping container on a Copenhagen street, allowing the museum’s collection to be viewed and explored by multiple users. The Wall has won international awards and provided a calling card for more projects of this kind (including walls in Egypt and Texas). In July 2015 Spackman joined the board of education marketing organisation Education New Zealand. In May 2017 she left Gibson Group to lead new Wellington creative campus Te Auaha, which from 2018 is set to serve students from Whitireia and WelTec (Wellington Institute of Technology), plus the NZ Film and Television School and the NZ Radio Training School.